Club Penguin Cheats by Mimo777 Club Penguin Cheats by Mimo777: Art for Haiti! But where will it go? Saweet! Club Penguin is updating us about Art for Haiti! 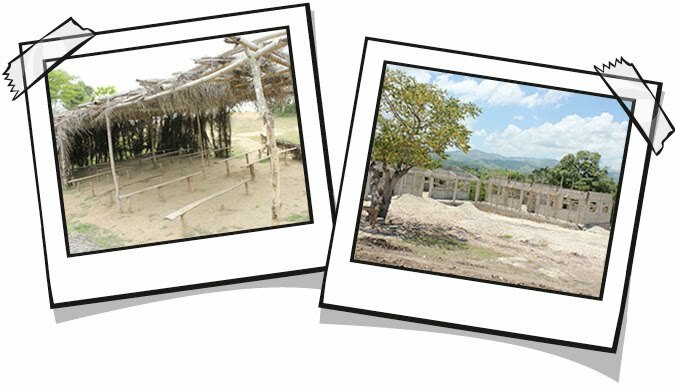 They said the reason they are building a school in Haiti is because of all you awesome penguins that said they should help in Haiti after the earthquake. So, great job everyone! 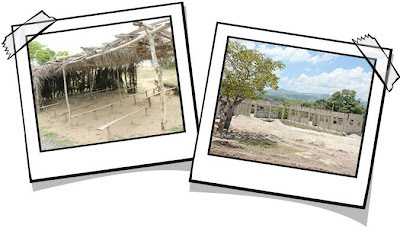 The Club Penguin artist has made it to Haiti and here is a pic of the new and old school. This school looks kinda like a grass hut with dirt floors, don't ya think? So here's the big question? Where exactly do you think the mural will be? Yeah I know it's supposed to be at the playground, but where? Super Fun Super hard! Air Transporter! Which ones the new one and which one is the old one?It might be on an tree or somthing. hey mimo, im not really sure if you found this out or not, but i know its not rlated to the topic but i noticed at the cove, there is no music there! there should be music there but im not really sure if they fixed it or not but still! the cove is decorated for fall fair and it has no music. thats pretty strange! That would be one heck of a tree. on the new one. If not, maybe a monument? I was thinking the one on the right was the new one... not the left. Anyway, I'm excited to see the mural! Next time this happens, email Club Penguin Support and tell them it was an accident. It's a 50 50 chance they will believe you. They have helped me with things in the past, such as me loosing the Cadance background. They added it to my intentory. That is actually normal. Some places just don't have music. Coffee shop, night club, etc. The one on the left is old one. One on right looks much better. Don't worry too much about the time, you should be able to hang in there for a day!! I think the 1 on the left is the old 1 and the other on the right is the new 1. (Amzz9 Trying 2 be a cpg mod) Waddle on!! I think the 1 on the left is the old one and the 1 on the right is the new 1. Hey Mimo there is a new thing on the home page.If you rollover the place where the flag is Yarr will come out. The one on the left is the one they're replacing. That's really frustrating!! I'm sorry for you. It's even worse, it's the Fair! I think that it would be better that before they ban you, you could talk with a moderator and explain why you did it. It could be a poster. That stinks! That has happened to me 3 times in my Club Penguin life and i hate it! My keyboard is very fussy and it will sometimes get stuck so it will add letters of its own sometimes. I just did other thigns while i was banned. My main worry is that i don't know how many timesyou can be banned until you are banned forever, which is really harsh! So i am extra careful now. CP has helped me. i made about $1000 coins playing games and when i logged back on i lsot it! so they gave me a refund. I hope it doens't happen to you again. yay!!! :D my ban is done i emaild cp but they didnt answer so im not sure they read it or not, and idk their # ( i like searched for 3 hours XP) but my ban is done so its ok. that was my first and last! ban (emphises on the LAST) oh well, im gonna b more carefull now! The reason,MIMO! they have grass is cuz theyre a poor country.